Our website is regularly updated based on current warehouse inventory. 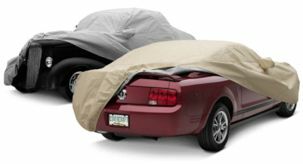 www.coveritcanada.ca will endeavour to supply all orders placed via this site. The packing slip located in your order will notate any items that were out of stock at the time of shipping. The unavailable items will be back ordered unless otherwise specified on your order form or verbally to a sales representative when placing your order by phone. Back orders are usually shipped when the products arrive at our warehouse without prior notification. www.coveritcanada.ca will make an effort to contact the customer if the backorder is more than 90 days old. Your www.coveritcanada.ca order confirmation email will contain details of the shipping time that you can expect for the items that you ordered. We ask that you allow 12-14 business days to receive your item, but make every effort to get your order out within 10 calendar days. You will receive an update of your order approximately 10 calendar days after your original confirmation (unless your order has shipped prior). You will also receive a tracking email once your order has shipped. Custom orders can take up to 6 weeks to ship, depending on the time of year. www.coveritcanada.ca currently has 2 warehouses, and not all in-stock parts are located at our Walker Rd. Location. We recommend contacting us 24 hours to arrival so that we can have all in-stock items available for pickup. All orders must be paid for at time of confirmation. www.coveritcanada.ca use Fedex, Canada Post and Purolator as standard delivery shipping methods. Shipping rates are based on weight, size and location of delivery. We do not use Postal Mail for delivery of any items, as it is not trackable nor insurable. We offer express delivery of your order, either as a partial order or once complete. Please contact us at 877.775.6654 for more information on express options. www.coveritcanada.ca & https://www.coveritcanada.ca/ is owned and operated by 7262329 Canada Ltd.